To complete your mountain chalet style interior decoration with a traditional and design object, choose this large wooden wall clock. The grain of the raw wood can easily be seen on the face holding the drop-shaped ended hands. The dimensions of this vintage wall clock are 50 cm in diameter. 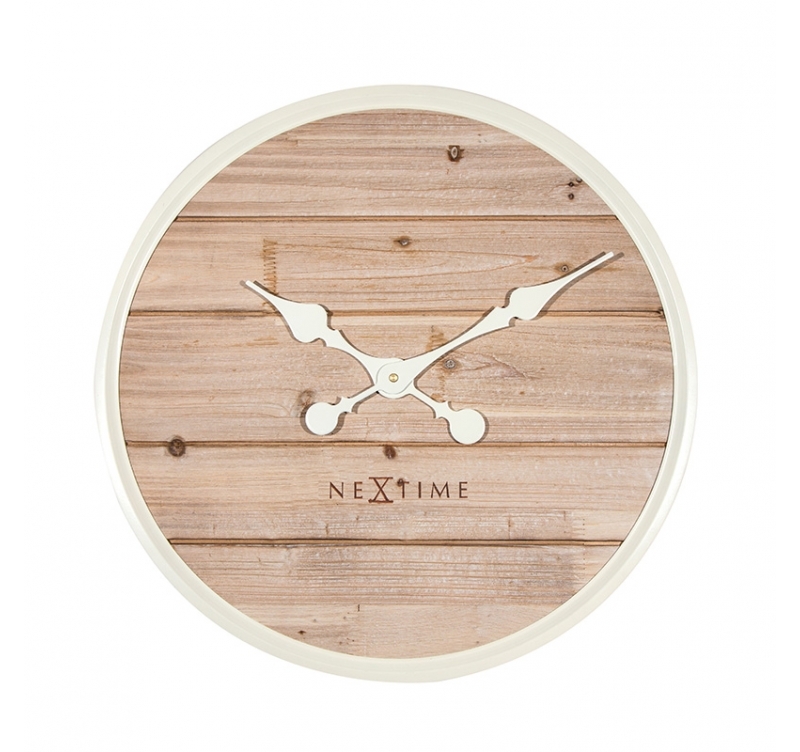 Free 48/72 h delivery in metropolitan France and Belgium for your wooden wall clock. Very natural and cosy this giant wall clock is entirely made of wood. The grain and knots of the face are very decorative and will perfectly match the boards of your floor or your panelling. Your vintage clock will be a true deco object in your country-style or northern atmosphere interior decoration. The white hands are decorated with romantic drops completed with a white wood circle around the face. 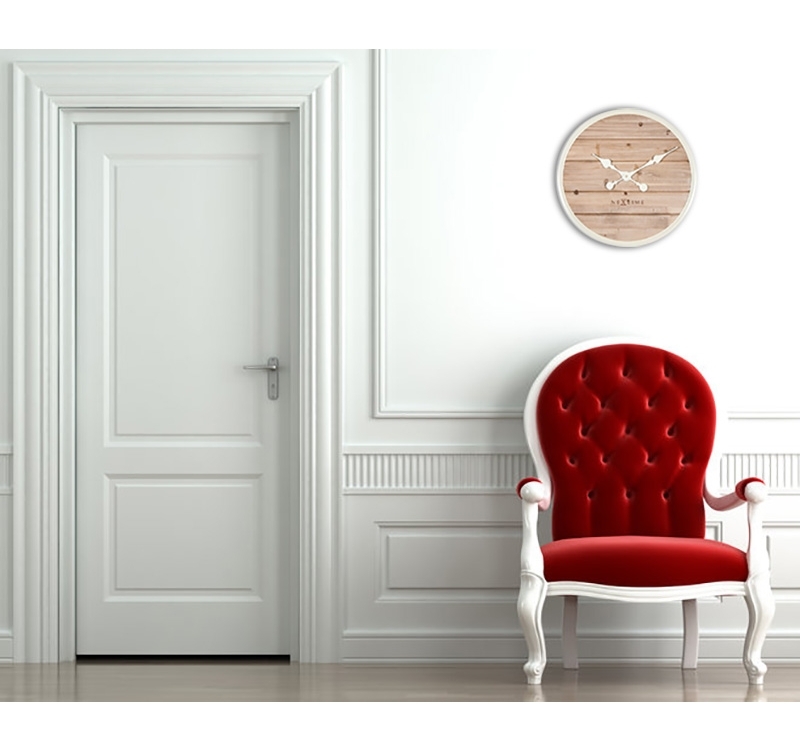 Here is a large cocooning wall clock you will enjoy watching. 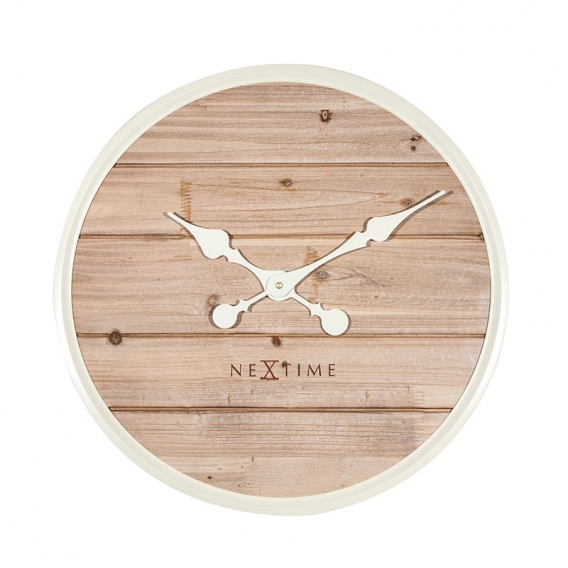 This wooden wall clock can also be found in a larger diameter. C'est joli, leger, et marche bien.